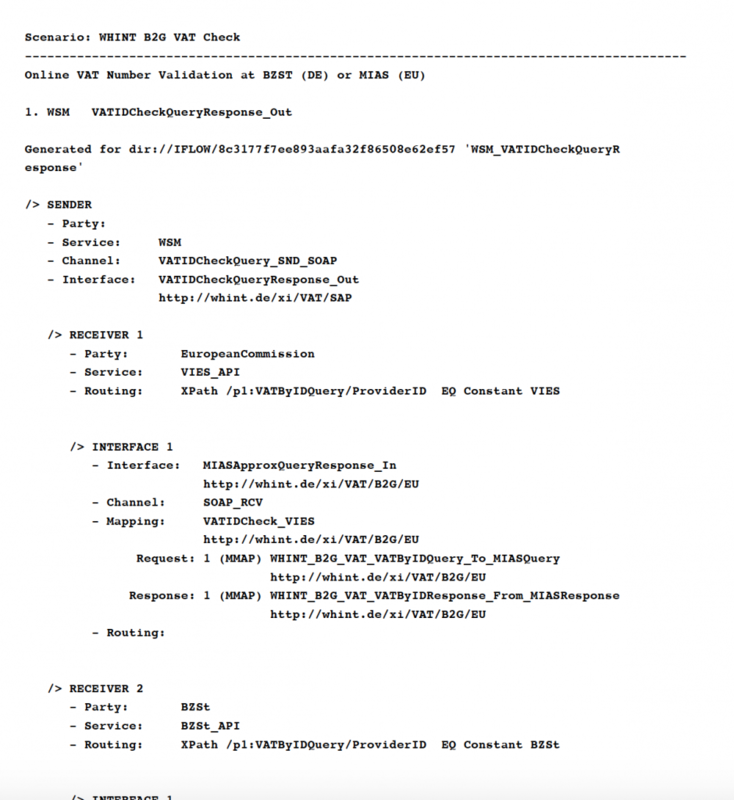 This solution creates an automatic documentation of your interface landscape by generating PDF documents in plain text describing your SAP PI/PO Configuration Scenario. The overall logic is using the structure of the Interface Catalog, providing a complete list of all end-to-end interfaces of your landscape: How to use the results of WHINT InterfaceCatalog. You need to have the WHINT Interface Catalog already, which reads all interfaces and routings from your Integration Directory. Instead creating an Excel document, multiple PDF documents are created. 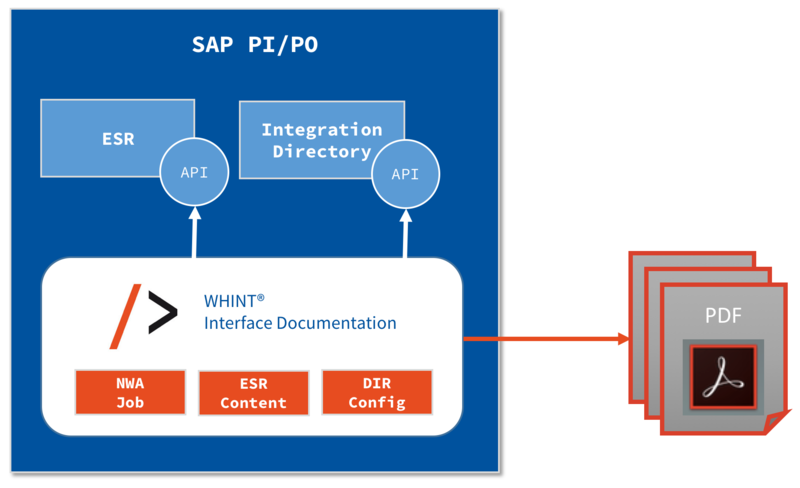 Import the ESR Content “WHINT_IFD, 2016.10 of whitepaper-id.com” (TPZ provided by Whitepaper InterfaceDesign) into your SAP PI/PO ESR. Change the existing iFlow/Integrated Configuration (PO) or Receiver Determination (PI) to add the Receiver Interface ConfigurationScenario_In [http://whint.de/xi/IFD] with the appropriate Operation Mapping InterfaceCatalogWithScenarios_To_ConfigurationScenario_Split [http://whint.de/xi/IFD]. The file name of the PDF is used from the Configuration Scenario.